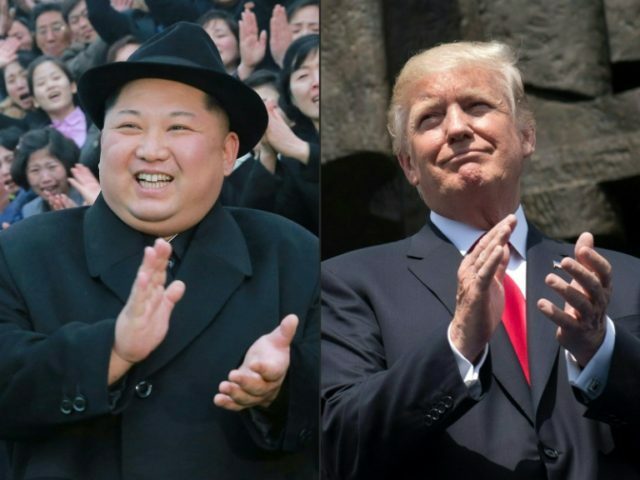 President Donald Trump signaled interest Wednesday in North Korea’s offer to dismantle a nuclear test site as part of ongoing negotiations with the United States. The North Korean dictator offered to dismantle the Yongbyon facilities, essentially freezing production of nuclear weapons, but did not address plans to deconstruct the existing arsenal. The United States has demanded total denuclearization of the Korean peninsula in exchange for a lift in economic sanctions. President Moon Jae-in of South Korea and Kim met in Pyongyang, North Korea on Wednesday to discuss ongoing peace negotiations. “The relationships, I have to tell you, at least on a personal basis, they’re very good. It’s very much calmed down,” he told reporters as he left the White House. He did not confirm that the United States was willing to lift sanctions on North Korea. On Twitter, Trump noted that both North and South Korea would file a joint bid to host the 2032 Olympics.